Red-whiskered Bulbul: Introduced to parts of North America as escaped caged birds. Brown upperparts, black crested head, mask, partial collar, orange-red patch behind eye, white cheek patch. Underparts are white with brown wash. Eats berries, fruits and insects. Direct flight with rapid wing beats. 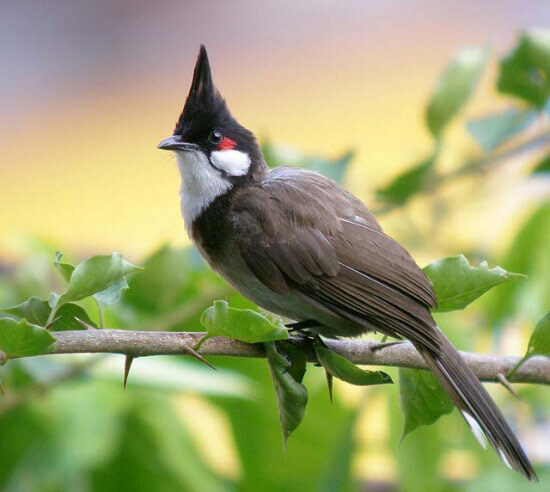 Red-whiskered Bulbul: Native to India, Nepal, Bangladesh, Burma and South China coast. 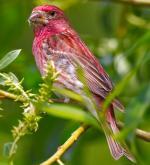 Escaped caged birds introduced and established in North America south of Miami, Florida. It gets its name from the red whisker patch located below its eye. On Oahu they eat the orange morphs of the Monarch butterfly, causing a rise in the white morph population over the last twenty years. The Red-whiskered Bulbul was first described in 1758 by Carolus Linnaeus, Swedish botanist, physician and zoologist. The word bulbul may have come from a Turkish or Persian word for nightingale. The Red-whiskered Bulbul is mainly found in tropical Asia, Pakistan, India and southeastern Asia and China. This species has been introduced in other parts of the world, as well as established itself in the wild in Australia, Los Angeles, Hawaii, Florida, Mauritius, Assumption Island and Mascarene Islands. 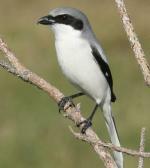 Its natural habitat consists of light woodlands, open country, bushlands and shrublands, as well as farmlands. 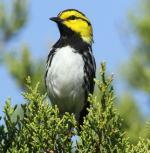 Diets consist of fruits, nectar and insects, and this species is typically a year-round resident of its homelands. The current conservation status of the Red-whiskered Bulbul is classified as Least Concern.